A friend of mine who works with a lot of men’s groups told me about The Good Men Project. It’s a great website where men (and the occasional woman) come together to discuss what it means to not just be a man, but a good man. Recently here I wrote about how my opinion had changed drastically, when considering how men grieve their friends. It received some really beautiful responses, here and elsewhere, including Porter Anderson’s Writing on the Ether: Engendering Grief. I took that basic article and submitted it to The Good Men Project, where it’s posted today. I hope you’ll stop by there to read it, but also to see what else they have to say. We all have expectations placed on us by society. Women aren’t the only ones who struggle with defining who they are. Next week I’ll share a guest post from Karl Sprague, who has a lot to say about anger, guilt, and grieving his friend. And you’ll also hear my thoughts on an incredibly personal response to my post on whether to tell a friend you’re dying. Congratulations ,Viki on another thought-provoking and pertinent post. 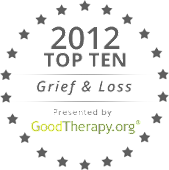 Grief has its own path and we all need to find our way through it.Your work is so important and I appreciate all you are doing to call attention to what matters most. Keep up the great work! Thanks to you both. I'll definitely check it out, Marty! Excellent, Viki! I'm a fan of the Good Men Project. It's good to see you there, adding your voice. And great to hear you are working on a second book! Thanks, Shelly! I'm so glad I found GMP. It's a great site that really focuses on all men: every age, race, gay/straight. Very impressive.